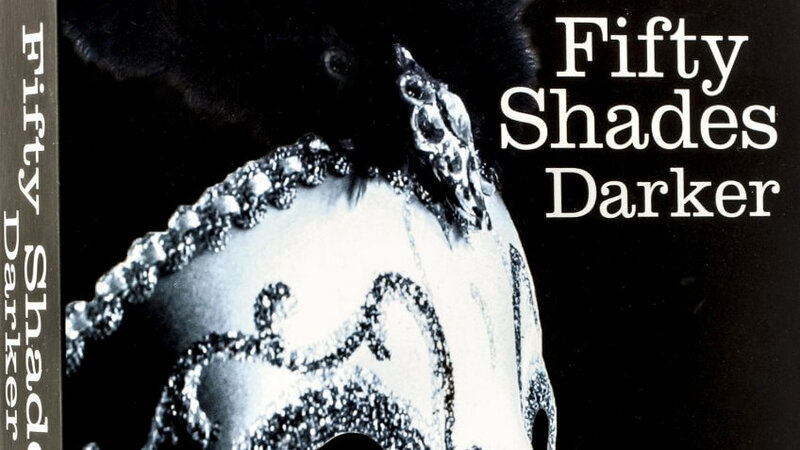 In the two years since "Fifty Shades of Grey" hit theaters in 2015, fans have been eagerly anticipating the next film in the series, "Fifty Shades Darker." The wait ends Feb. 10, when Christian Grey and Anastasia Steele return to the big screen to begin a new chapter in their relationship. Primed to be another box office sensation, the first "Fifty Shades Darker" trailer broke the record for the most-reviewed trailer in its first 24 hours, garnering a jaw-dropping 114 million views. To put those numbers into context, that's the same number of people who watched the Super Bowl in 2016. The movie helped the cast step into the Hollywood spotlight. See how much they are worth as they rise to the top. While "Fifty Shades Darker" is one of the most-anticipated films of 2017, the film's roster remains surprisingly light on big name stars. Instead, the "Fifty Shades" cast is a mix of lesser-known actors, and some of Hollywood's best kept secrets — with the exception of two Oscar-winning actresses. Because of this, most of the "Fifty Shades Darker" cast have net worths far below those enjoyed by Hollywood A-listers, though some have realized a notable bump since the release of "Fifty Shades of Grey." Here's how much the stars of what may be the second-steamiest movie to ever hit the big screen are worth, as reported by CelebrityNetWorth. Jamie Dornan as Christian Grey: Irish actor Jamie Dornan is estimated to have a net worth of approximately $3 million. Dakota Johnson as Anastasia Steele: Johnson is the only daughter of actors Don Johnson and Melanie Griffith, and is reportedly worth $5 million. Jennifer Ehle as Carla May Wilks: Best known for her role as Elizabeth Bennet in the 1995 BBC miniseries "Pride and Prejudice," Ehle has an estimated net worth of $4 million. Luke Grimes as Elliot Grey: Former "True Blood" star Grimes has a net worth of roughly $500,000. Rita Ora as Mia Grey: Multi-talented British singer-songwriter Rita Ora has an estimated fortune of $16 million. "Fifty Shades of Grey" was her silver screen debut. Eloise Mumford as Kate Kavanagh: Mumford plays Anastasia Steele's on-screen best friend and has an off-screen fortune estimated at $2 million. Marcia Gay Harden as Dr. Grace Trevelyan Grey: The Academy Award-winning Harden reportedly has a net worth of $16 million. Andrew Airlie as Carrick Grey: Scottish actor Andrew Airlie's net worth is unknown. Max Martini as Jason Taylor: Martini may play Christian Grey's bodyguard in the movie, but in real life this seasoned actor is worth $4 million. Victor Rasuk as José Rodriguez: As the star of the HBO show "How to Make It in America," Rasuk has a net worth of approximately $2 million. Kim Basinger as Elena Lincoln: Known for her work in "L.A. Confidential," "8 Mile," "Batman" and a host of other high-profile films, Academy Award-winning actress Kim Basinger has a net worth of $40 million. In total, the combined net worth of these cast members is approximately $92.5 million. Those familiar with "Fifty Shades of Grey" know it's not just a single book, but a trilogy. The series consists of three novels, aptly titled "Fifty Shades of Grey," "Fifty Shades Darker" and "Fifty Shades Freed." Since its launch the series has sold more than 125 million copies, each with a retail paperback price of about $10. The trilogy has been published in 52 languages and sold 70 million copies during the first eight months on U.S. shelves. Author E.L. James earned $95 million from book sales from June 2012 to June 2013, making her the most successful author of adult fiction in history. In June 2015, James released "Grey: Fifty Shades of Grey as Told by Christian," which sold more than 1 million copies during its first week. Momentum from the new book and the ongoing popularity of "50 Shades" landed her the No. 8 spot on Forbes' list of top-earning authors of 2016. According to Forbes, James made $14 million in 2016, a $2 million increase from her 2015 earnings. By the time "Fifty Shades of Grey" made its theater debut on Feb. 13, 2015, the movie had already broken a box office record or two. Fans rushed to purchase advanced tickets as soon as they were released, resulting in $1 million in sales in just the first three days, Adweek reported. In fact, Fandango reported that "Fifty Shades of Grey" was the fastest-selling R-rated movie in the company's 15-year history. Nearly a month before the release of the film, the company issued a statement noting that theaters across the country added new show times to their websites to accommodate the throngs of eager fans expected to turn out. While "Fifty Shades of Grey" had a total production budget of just $40 million, the movie brought in more than $85 million during its first weekend alone, making it the second-highest grossing February release in history behind 2016's "Deadpool," reported Box Office Mojo. It went on to generate $166.2 million in ticket sales domestically and $404.8 million internationally, for a grand total of $571 million worldwide. Despite its overwhelming success, the "Fifty Shades of Grey" cast did not get rich from the film. Jamie Dornan and Dakota Johnson were paid $250,000 each for their work, plus box office bonuses, according to the Daily Mail. They've now proven their ability to draw a crowd, so the two stars reportedly sought seven-figure salaries for "Fifty Shades Darker." If the two-year wait for the "Fifty Shades of Grey" sequel has been too much, you'll be pleased to know the third and final film will make its debut next year. "Fifty Shades Freed" is slated for release on Feb. 9, 2018. Up Next: The Highest- Grossing Movie Spin-Offs, Sequels and Reboots. From N.W.A. to Beats by Dre, Andre Romelle Young has nearly reached billionaire status. GOBankingRates > Net Worth > Celebrities > Who’s the Richest Cast Member of the ‘Fifty Shades Darker’ Movie?